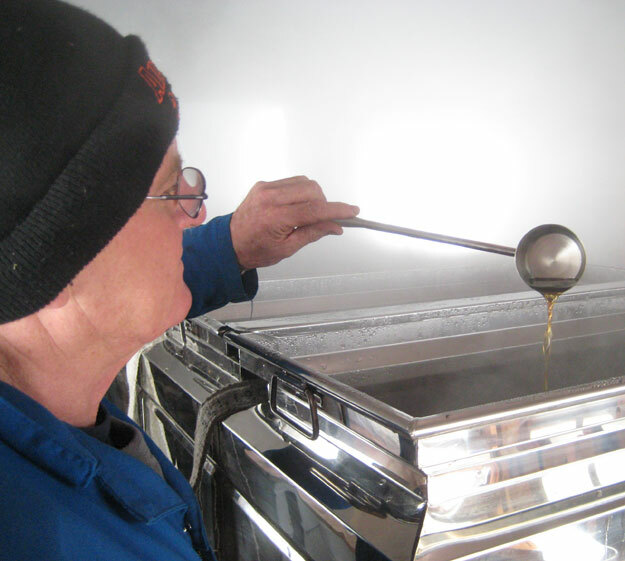 It takes approximately 40L of sap to make 1L of pure maple syrup depending on the sugar content of the sap. 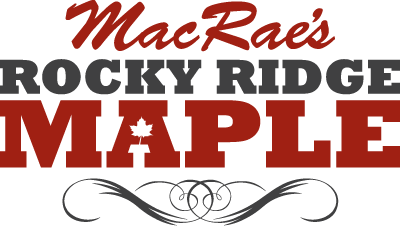 Maple Syrup (Unopened) – In a cool, dry place, the fridge or freezer. Maple Syrup (Opened) – In the refrigerator or freezer. Maple Butter – In the refrigerator or freezer. Maple Syrup (Unopened) – Over one year in a properly sealed and filled container. Maple Syrup (Opened) – Approximately 6 months if stored properly in a refrigerator. Maple Syrup (Unopened or Opened) – Frozen maple syrup will last longer and will not freeze solid. Maple Butter – Approximately 6 months refrigerated and 1 year frozen. Maple Syrup is boiled until it reaches a sugar density of 66 brix this makes is saturated in sugar. Once a container of syrup is opened the water will start to evaporate and the sugar density will increase. This causes the extra sugar to crystallize. The early season syrup is lighter in colour and in particular is higher in saccharose and is more susceptible to sugar crystallization. The dark colored syrup produced later in the season is less likely to crystallize as it has more fructose and is less sensitive to the changes in brix.